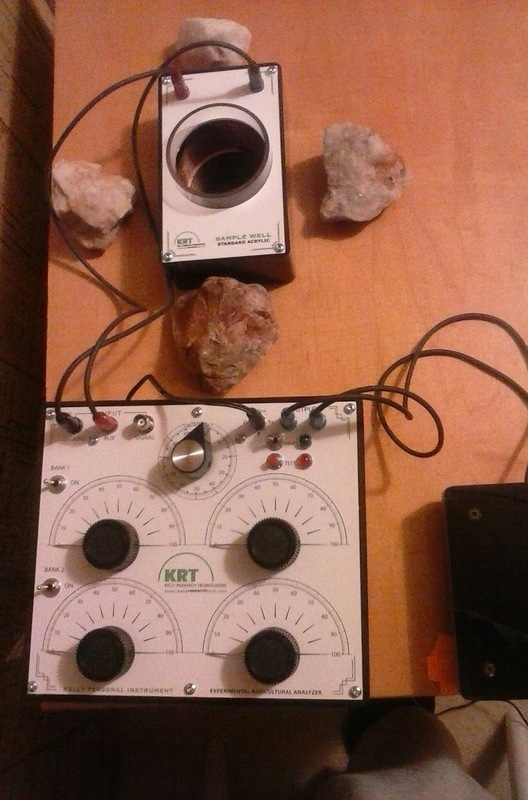 I bought my first Radionics Analyzer last year, and I found they worked so well in shifting energy that I bought a second one! While I have yet to find a magic wand, I have found Radionics Analyzers to be tremendously effective in shifting energy and situations. I have been lightworking for over 20 years, and I have found these devices to work great in combination with everything else I have learned. I am offering healing and manifesting services using my Radionics devices. These work to shift energy! For more information on how I use and apply radionics devices, visit my webpage, "Source-Created Solutions℠ in Radionics." fashioned radios to tune the dial. I incorporate the use of my Radionics device into my healing and teaching sessions. I call in angels, guides, and the Light to work through the device. We work more through the soul level than the physical level to create change, which allows for greater changes over time. For more information about my sessions, visit here. "Why am I not healing or manifesting what I want?" Sometimes for healing or manifesting to occur, blocks need to be removed. As much as you may intend for something to happen, there may be something in the way. Sometimes something may not be Divinely appointed, or there may also be spiritual contracts blocking you. Visit here to learn more about spiritual contracts. Europe has a flourishing community of knowledge around Radionics and its effective use in physical human healing. But in the United States, there is a great deal of institutional resistance to the use of Radionics and other alternative modalities for healing purposes. For that reason, enjoy the following disclaimer. DISCLAIMER: Discussion or publication of the ideas, theories, concepts, descriptions, processes or instructions of Radionics in no way represents or constitutes a claim that any service offered by Rev. Theresa Nygard, nor any other scalar, radionic, psychotronic, or free energy device, can have a positive, negative or any other impact on human health, or is in any way a replacement for or supplement to the advice or treatment provided by local, state and/or federally licensed medical and other commonly recognized allied health care professionals. Federal law states that only a medical doctor and/or prescription drug is/are able to diagnose, treat, prevent, or cure disease. All information and all correspondence verbally, via email, brochure, letter or otherwise does in no way make any claims to diagnose, treat, prevent or cure any ailment, affliction, suffering, or disease that any person(s) have had, currently have, or will have in the future. It is always recommended to discuss with your medical doctor prior to making any changes in diet, nutrition, supplementation and exercise. If you are in need of medical or mental health care please contact a licensed professional.